Be the first to share your favorite memory, photo or story of Tomalina. This memorial page is dedicated for family, friends and future generations to celebrate the life of their loved one. Her Name was Tomalina (Tomi) Wagner, and this is her life story! She was born September 26, 1927. A beautiful mother of 3 children from her first love Ralph Kimble, and a grandmother to 6 grandchildren. She was an entertaining sister to six siblings, 4 sisters and 2 brothers. She is a widow and was married 3 times. She could speak 2 languages, American English and Czechoslovakian. 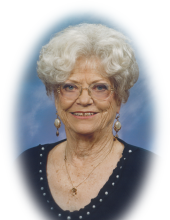 In her childhood years she enjoyed school sports, painting, drawing, and sculpting animals, something she had a real knack for, she also enjoyed dancing her sister Wilse and they loved to entertain family and friends with their dances. Later in life she during her adulthood as she called it, she found enjoyment in cooking, and continued to enjoy painting along with other arts. She also continued to entertain with her dancing and singing. She was known to the family as being a fantastic cook, entertainer and a bit of a practical joker. One of her favorite memories was the tradition of family get togethers for the famous adult card parties. Hanging out with family was one of her true enjoyments in life even if it was just looking through family photos. Family was very important to Tomi. She also enjoyed not being the cook and going out to eat, along with getting her hair done, and attending church services, when she was able. Beyond her family she was also very proud of her employment and her customer services skills. She worked for Sav-On/Long’s Drugs and Thrifty for several years in the film and make-up departments. She also worked at Wal-Mart as a greeter. She was a beautiful woman of many talents, she lived life with God in her heart and it was always full of love, respect, and kindness for others. She was dearly loved and will be missed by many and never forgotten. To send flowers or a remembrance gift to the family of Tomalina Lydia Wagner, please visit our Tribute Store. 9040 Lake St. Lower Lake 95457 CA. "Email Address" would like to share the life celebration of Tomalina Lydia Wagner. Click on the "link" to go to share a favorite memory or leave a condolence message for the family.